This week’s missive is from Nikki. Remember Nikki from last week? The gal with the little red and pink hearts dotting both I’s in her name? Thank you for printing my letter. You seemed too angry to answer my question about Brad Pitt and Angelina Jolie. But I’ll go ahead and answer all of yours. The reason I care about those two shlubs is that I live in a Cambodian orphanage, and I want those two shlubs to adopt me so I can live in Hollywood, where the prostitution is more like a metaphor than it is a literal nightmare/day-to-day necessity/”lesser of two evils” sort of thing. And yes, I do sign all of my letters with little red and pink hearts dotting both I’s in my name. It only takes about three seconds longer to do it. I’m sorry you don’t like it, but it cheers me up, and my Christian Children’s Fund sponsors in America say it makes them feel like they’re really getting something for their $34 per month. No, I’m not thirteen. I’m eight. Oy, y’all. I feel like such a schmoe. I’m real-real sorry for my attitude on the last Gilda Sue’s Mail Bag. Instead of pushing my own personal frustrations deep, deep down, and burying them in a Drambuie Rickey as I’ve always advised, I let them creep into and taint my work as your on-line confidante and real-real concerned counselor. That is super unconscionable. It won’t happen again. Probably. Nikki, please accept my apologies. To answer your question, I have no idea if Brad and Angelina will ever get married. But it looks like if they can get themselves to New York tout de suite, it’s now LEGAL! Cheers, y’all. And have a rockin’ week! 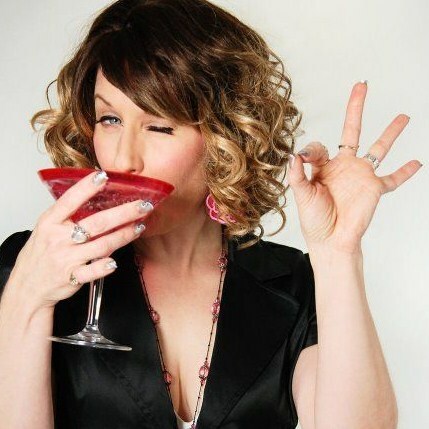 The Deep South's gabbiest half Jewish talk show hostess on a never-ending quest for fame, cosmic truth, the mensch of her dreams, and a "real-real rockin'" cocktail! Posted on June 30, 2011, in It's Gilda Sue's Mail Bag! and tagged Angelina Jolie, Brad Pitt, mail bag. Bookmark the permalink. 2 Comments. I feel sorry for this poor little prostitute. How do I become a member of The Christian Children’s Fund? I don’t want to send money, though. I want to help these young prostitutes by getting them to America, the home of the free and the land of the brave. They can make so much more money here. And they deserve it! I am about to cry! Charlie, honey, I’m not even super sure there is such a fund for FAR Eastern concerns, these days, not with the heavy burden of funding Christian wars in the MIDDLE East, anyway. Don’t try THIS website, though.